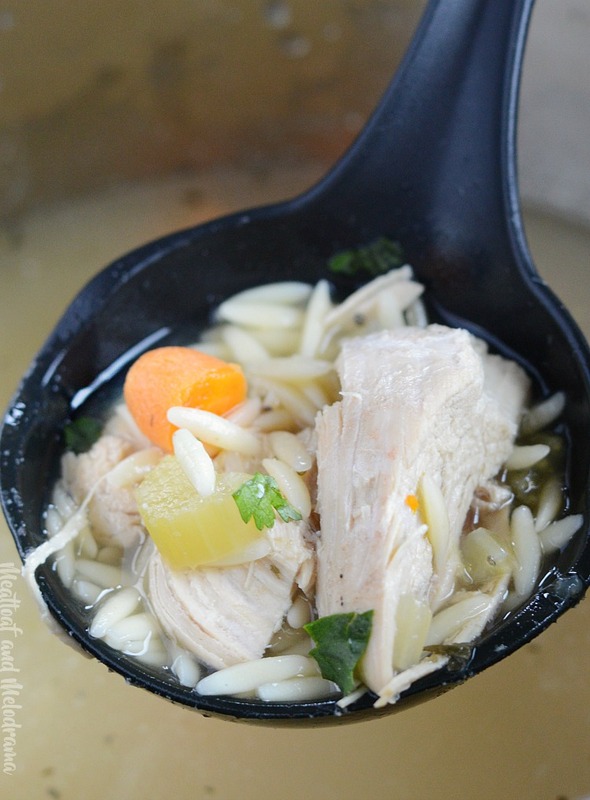 Instant Pot Lemon Chicken Orzo Soup is a quick and easy homemade soup recipe made entirely in the pressure cooker. 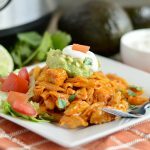 Loaded with chicken, carrots, pasta and plenty of lemon, this is comfort food in a bowl! Nothing is more comforting than a steaming hot bowl of homemade chicken soup, especially if you’re feeling under the weather! Add some lemon and a bit of ginger, it’s even better. 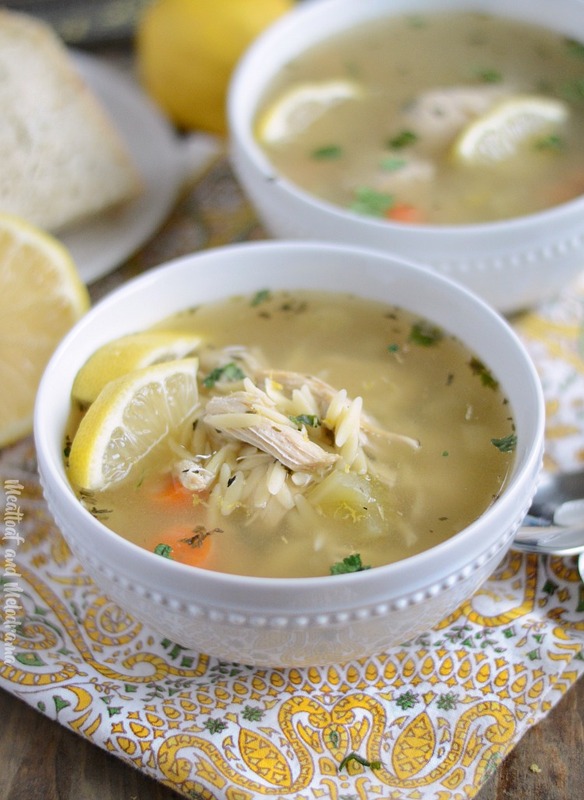 If you like lemon chicken, you’ll love this easy Instant Pot lemon chicken orzo soup! I thought we were pretty much done with soup recipes for the year. It’s been unseasonably warm here, so I was thinking up recipes for spring. So of course, we got rain. And, it got cold. Then, my daughter called from school saying she was sick and needed to come home. I had actually made a big old pot of my regular chicken noodle soup in the pressure cooker for dinner the night before, so I decided to make a slightly different variation. My daughter absolutely loves lemon chicken, and I knew she would love lemon chicken soup. 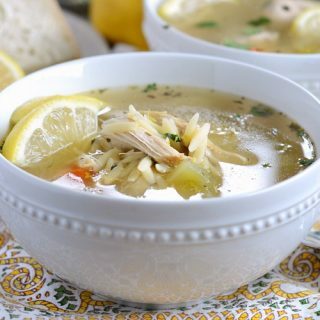 This soup is incredibly easy to make, and the only difference between lemon chicken soup and your normal chicken soup is that there’s lemon, of course, and orzo pasta instead of the usual egg noodles. I had everything I needed for the soup except the orzo, and when I asked the Hubs to pick some up on his way home, he thought it was rice! The only real prep work involved in making lemon chicken soup in the pressure cooker is cutting up the veggies. I always have baby carrots in the fridge, so there’s no peeling involved. Just chop them up along with celery and onions, and throw them on top of the chicken. I used boneless skinless chicken breasts and 2 cartons of low sodium chicken broth for this recipe. You could even use less if you don’t want that much, but we like having leftovers. You could also use homemade broth here if you have it. 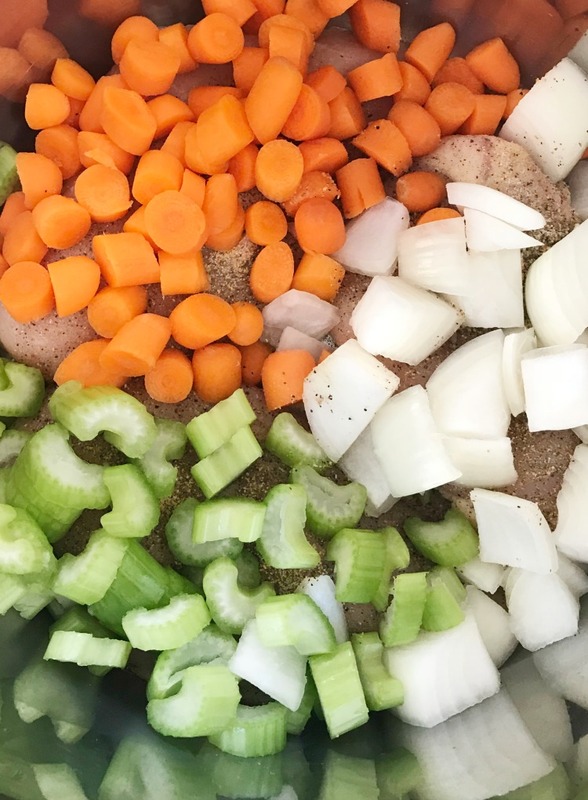 And you guys, it’s so easy to make homemade soup stock in the Instant Pot! I was completely out, but I do have a post about how to make your own bone broth or stock in the pressure cooker coming soon. Anyway, the takes 10 minutes to cook in the Instant Pot. You do have to allow about 10 to 15 minutes for it to reach pressure and a few minutes to release the pressure. You can go and put your feet up in the meantime! When the soup is done, just cut up the chicken and add the orzo to the pot. I use the saute function to cook the pasta, and then I add the chicken back in. I also like to taste the chicken soup and see if it needs more seasoning. You can also add more lemon if you like your soup extra lemony. 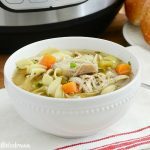 homemade Instant Pot Lemon Chicken Orzo Soup is loaded with chicken, carrots, pasta and lemon and is made in the pressure cooker for a quick and easy dinner. It's comfort food in a bowl! 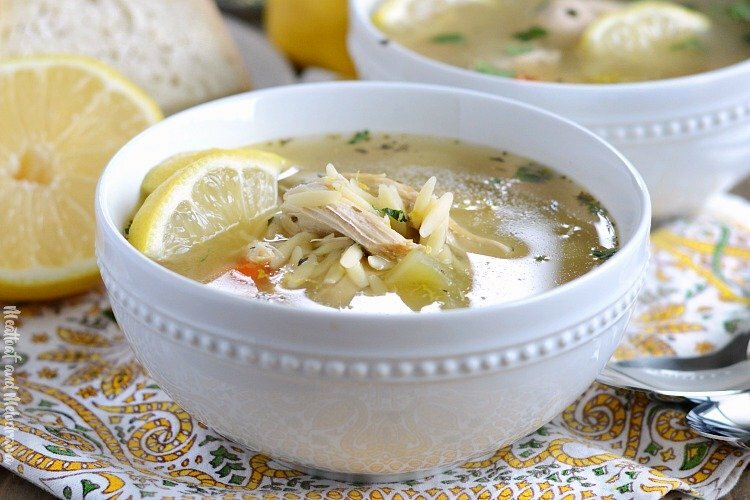 This recipe for Instant Pot lemon chicken orzo soup is definitely a keeper! I hope you enjoy it as much as we do! My new IP is one of my favorite kitchen tools. This lemony and bright soup sounds delish! This soup looks incredible! My family would love this! Love that this was made in an IP! Sounds so light and delicious! What an amazing flavorful soup! Easy way to get your kids to eat more veggies! I bet this warms you right up! I love the lemon flavor in soup! It looks really comforting! I can’t wait to give this a try! 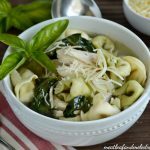 This would be a delicious soup and so easy to make!Your post is awesome and thanks so much for sharing it with us at Full Plate Thursday. Have a great week and come back to see us real soon! Hi I am making this now, thank you for sharing it! Can you confirm if the onion is supposed to be 1 teaspoon chopped? For this round I’m assuming you mean one whole chopped onion. Yes! That should read one whole onion, chopped. I’m making this recipe this week and am confused to what a gradual quick release is. I’ve heard of a quick release and natural one, but not a gradual quick one. Thanks!